A majority of the 850,000 estimated persons who receive treatment for dog bites each year in emergency rooms across the country sustain only minor damage, but even slight damage deserve financial reimbursement. And you can’t set yourself up to receive such restitution without the help of a qualified legal team. 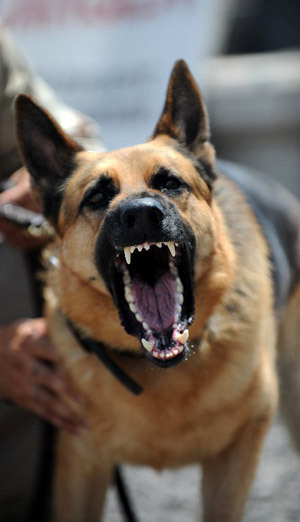 The San Bernardino dog bite attorneys of the Nagelberg Bernard Law Group have just what you’re looking for. If you’ve been victimized by a dog bite, then the person whose negligence caused the incident owes you compensation for your injuries. The state of California has strict laws which govern how pet owners are supposed to take care of their animals, and any breach in these laws constitutes a violation of your rights if that breach leads to your injuries. This last category is especially heinous, as it implies a level of trust that should be afforded to the guest of the pet’s owner. When that trust is breached, it can compromise what once may have been an important friendship. In all of the above situations and countless more, you’re entitled to compensation for the injuries you’ve suffered and the financial burden you’ve sustained. But you don’t and shouldn’t have to go through the process alone. It’s important to keep a detailed record of your medical treatments as well as all the bills you’ve accumulated in your quest to get healthy. Such a record allows us to distinctly prove the damage that’s been inflicted on you, both in the physical sense and the financial sense. Don’t delay. Call us at once to receive a free consultation from a member of our dedicated legal staff. Our lines are open around the clock, so there’s no reason to wait. If you prefer, you may also fill out the form on this page. In your time of need, enlist the services of a firm that has 30 years of experience, a 98.4% success rate, and more than $400 million in compensation gained for its clients. Contact the San Bernardino dog bite attorneys of Nagelberg Bernard today.